We will design and project manage a garden that you are proud of, and that is the envy of others. 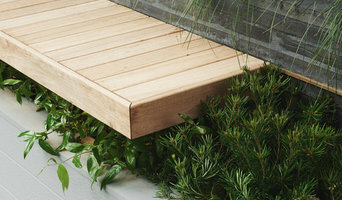 This includes all the components of your landscape, including entertaining/alfresco area, pool (if you are having one), spa, decking and/or paving, water features, sculptures, and, of course, the plants, will all fit seamlessly together, like a fabulous jigsaw. Our first mission is to listen to you, after all, this is your Heaven that we are creating. We then apply our 30 years of multi award winning expertise, to design your garden in a way that is reflective of you, blends seamlessly with your architecture and is stunning for others to view. The end result is a garden that is beautiful, functional, environmentally responsible, that compliments the existing architecture and reflects your tastes and lifestyle because it’s your garden. C.O.S Design has been designing and constructing award winning landscapes in and around some of Melbourne’s finest properties since it was founded at the start of 2000. Are you in the process of building a new home, renovating, or simply wanting to give that tired outdoor space a new lease of life and don’t know where to start? Then please be in touch. Our design team can assist in getting you on the track to a beautiful and functional landscape. 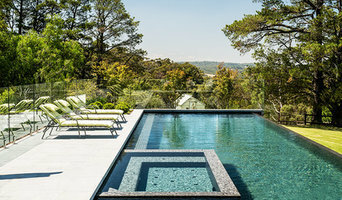 Since 2000 we have designed and built some of the most unique and stunning landscapes and pools in Melbourne and rural Victoria. At JDD we aim to deliver landscapes that meet your lifestyle demands. From large entertaining areas to bespoke intimate spaces, our design philosophy translates perfectly to projects of any size, with each offering creative, innovative and responsible design solutions. JDD prides itself in being a boutique landscape and pool design studio. We remain small enough to deliver a highly personalised service that delivers a landscape of the highest standards yet big enough to manage the largest and more complex of projects. Waddell Landscapes' reputation is built on a foundation of excellent skills, cutting edge landscape designs, precise construction, and above all customer satisfaction. We have a friendly, dedicated team that loves to be with you step by step, from initial consultation to project completion. We have had 100% conversion from design to construction - the best part is seeing that transformation and ensuring the end result is just as you desire. Rob Waddell is the principal landscape designer at Waddell Landscapes and has produced an exciting portfolio of completed projects. He has experienced success at the Melbourne International Flower and Garden Show, and worked as part of the ‘Better Homes and Gardens’ channel 7 program as well as channel 9’s “The Block”. Because we do both design and construction, you work directly with Rob without being handled to another company. The ‘Waddell Landscapes’ slogan, 'Style Precision Perfection', is Rob’s endeavour in all facets of his life, and these qualities are hallmarks of his work. 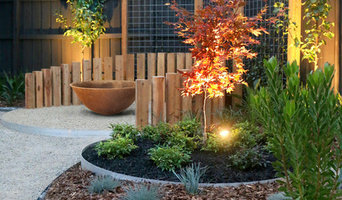 This is how we bring your Melbourne Landscape design to life! Paul Pritchard Landscapes have been creating beautiful gardens and outdoor spaces throughout Melbourne and its surrounds for over 22 years. With a degree in Horticulture, owner, Paul Pritchard, gained extension knowledge of intricate liveable outdoor landscapes. Paul designs with a passion to create spaces, that provide a complementary fusion of nature, function and design while accommodating each client’s individual needs and desires. The firm focuses on creating functional, quality and diverse styles of gardens to fit with the architecture of each residence, accompanied by the personalities of each client. By offering expertise services in both design and construction, Paul Pritchard Landscapes delivers a process that is streamlined, efficient and easy for busy clients. Paul is joined by an extremely capable and dedicated team; some who have been with the organisation from the start and others who bring almost as many years of expertise and experience. There is also a younger, new generation of team members who bring fresh ideas and energy to the site. We offer unparalleled craftsmanship and decades of expertise to bring each client an end result that will be enjoyed for many years. Atmosphy is a 'greenscaping' company, specialising in small areas such as residential gardens, balconies, courtyards, roof gardens as well as interior spaces such as offices or restaurants. We design, install and maintain unique planting designs that include green walls and vertical gardens as well as other planting schemes for gardens and commercial spaces. Houzz is a great place to start your search for the right Craigieburn, Victoria landscape architect or designer. You can either browse outdoor photos and find professionals linked to them, or you can browse our professional directory, see their latest projects, read reviews, and narrow down your search based on your style preferences. Once you’re down to a few, reach out and get some quotations to make your final choice.